Two terrabytes of pro storage aimed at small business market. The rather bizarrely named 2big Network (you can never have enough disk space can you?) 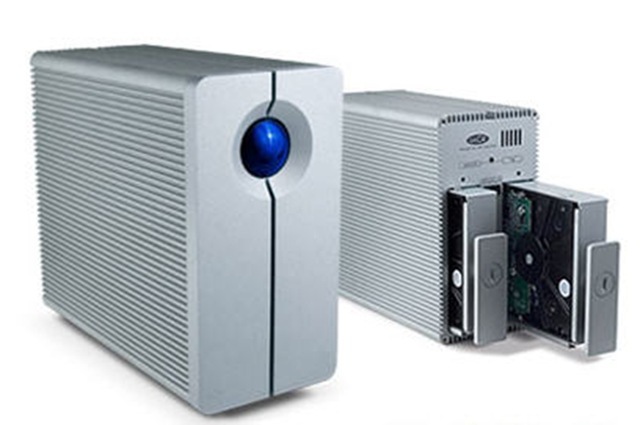 was launched yesterday by external storage specialists LaCie. Like Dell, BT and Microsoft before them, LaCie has decided to aim one of its latest offerings, a RAID based shared storage system up to two terabytes, squarely at the small business sector. Remote access allows users to instantly and securely obtain all files stored on the 2big Network situated at the office, with any internet connection. For small businesses with a dispersed work force this type of shared storage could prove very useful. However, I’d suggest this is something you’d probably only want to set up with professional in-house or outsourced IT support.